Organised by the 12th Residential College University of Malaya. 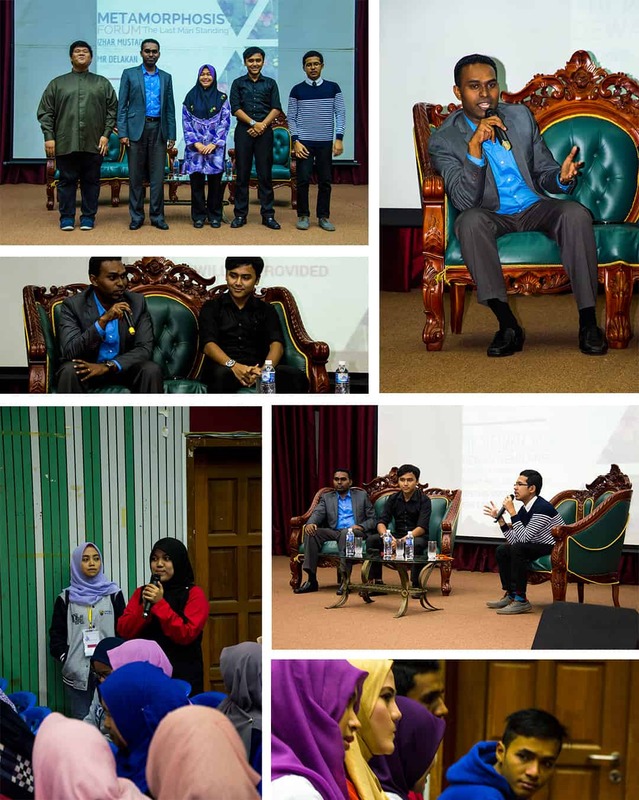 Lead Malaysia was recently given an opportunity to speak to UM undergraduates on the concept of change. Titled “Metaphormosis: The Last Man Standing” the forum was a platform to debate and discuss change as an eventual challenge for everyone regardless of age, race, level of education, position or ranking. Standing firm with the concept of embracing change, LEAD Malaysia welcomed the opportunity to gear students to also embrace change. “Rapid changes are inherent within the landscape of the society. The availability of information has evolved tremendously. Access to information is so advanced that it has enabled progress at a rate beyond imagination. How do you cope as undergraduates who will soon become working professionals?” asked representative from LEAD Malaysia Mr. Delakan. Paired with Mr. Izhar Mustaqin, another alumnus of University Malaya, LEAD Malaysia stressed the necessity to equip oneself with the necessary skills and information needed to face global challenges. In line with the title, it was LEAD Malaysia’s advice to students that the last man standing is the man that embraces change. It is a matter of survival.